Malaysia Airlines Flight MH370 was a Boeing 777 carrying 227 passengers and 12 crew that left Kuala Lumpur on March 8, 2014, en route to Beijing. The plane never arrived at its destination. An international search effort was conducted along several potential routes, but neither the plane, nor any debris from the plane has been found. I can’t trust them. This is not the first time they get the wrong news … Why? You tell me why? These findings are fake. This is a conspiracy. Everything is fake. I can only ascertain that it’s plane debris. 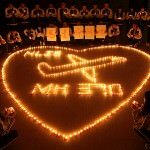 Today, 515 days since the plane disappeared, it is with a very heavy heart that I must tell you that an international team of experts have conclusively confirmed that the aircraft debris found on Réunion Island is indeed from MH370. The wing fragment arrives for analysis in France. We are searching all the time now. I hope to find something that will say definitely it’s from the plane so that the families can have some relief from their mourning. A Malaysian official says a part number (657 BB) on a piece of aircraft wing found in the Indian Ocean confirms the object is from a Boeing 777. From the part number, it is confirmed that it is from a Boeing 777 aircraft. This information is from MAS (Malaysia Airlines). They have informed me…This could be the convincing evidence that MH370 went down in the Indian Ocean. The recovered object will be flown to a testing site in France near the city of Toulouse for analysis by aviation authorities and could reach there by Saturday. In the event that the wreckage is identified as being from MH 370 on La Reunion Island, it would be consistent with other analysis and modelling that the resting place of the aircraft is in the southern Indian Ocean. 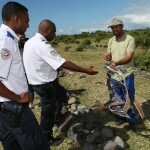 The crew cleaning the beach near Saint-Andre, La Reunion, reports to the police that they found a damaged suitcase two-and-a-half meters from the airplane debris. They do not know whether there is any connection between the two. We set aside all the garbage we had gathered on the beach during the day and today we thought that old suitcase could be related. It could have been thrown into the sea from the beach. Authorities say that the plane debris and suitcase will be sent to a special lab in Toulouse, France who will examine the evidence. 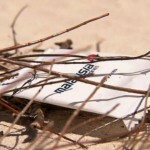 An unwrapped moist towelette with the Malaysia Airlines logo on it is found by a strolling couple on a beach in West Australia. It is being tested to see if it is the first piece of evidence from MH370. It is unlikely, however, that such a common item with no unique identifier could be conclusively linked with MH370. We are left asking ‘is any life worth so little No sum of money, no matter how great, can compensate the families for our losses. No amount of money can ever take the pain away. True justice cannot be measured by money. Malaysia Airlines cannot undo this tragedy. However, a fair and adequate compensation for all would reflect the magnitude of the effect this tragedy has had on our lives and should be commensurate to this being the worst air tragedy the industry has ever seen. The first official report on the disappearance of MH370 is released by the Australian Transportation Safety Board (ATSB). The report concludes concludes that the Boeing 777’s right-hand engine was likely to have failed first, followed by the left engine, causing the plane to spiral into the ocean. For purposes of the report, the investigators assumed that the plane was flying on auto pilot at around 35,000ft and at a speed of more than 460mph. This scenario resulted in the aircraft entering a descending, spiraling, low bank angle left-hand turn and the aircraft entering the water a relatively short distance after the last engine flame out. The GO Phoenix arrives in the southern Indian Ocean and starts its search for the missing flight. The ship, and two others which will arrive within the month, will conduct detailed sonar sweeps of the area in a search effort expected to take one year or more, according to the Australian Transport Safety Board (ATSB). Malayasia’s Defense Minister says that more equipment and resources are heading to search for MH370 in August, and will begin searching the deep end of the Indian Ocean off the Australian coast on August 4. Hussein makes no estimates on time or cost of the new search. made for the purposes of defining a search area and there is no suggestion that the investigation authority will make similar assumptions. We’ve indicated our willingness to be a part of the funding arrangements…and we’re just talking about those things. The question of who should pay for what under the Chicago Convention was quite complex. Veteran commercial pilot Ewan Wilson and journalist Geoff Taylor says the disappearance of jet MH370 is a conspiracy. Wilson and Taylor interviewed the flight’s relatives, other investigators and read the official documents before coming to this conclusion and say they have systematically ruled out malfunctions or freak accidents, saying there was no other reason for the flight’s change of route. They will release their findings in an upcoming book, Good Night Malaysian 370: The truth behind the loss of Flight 370. For the first time we present a detailed analysis of the flight, the incredible route it took, and who we believe was in charge of the aircraft as it plunged into the Indian Ocean.The authors said that relatives of those on board were not being told the truth about the diversion…For the sake of the relatives of those on the flight the truth needs to be out there…What happened to MH370 was no accident. it was deliberate and it was calculated and it should never have been allowed to happen. We are taking matters into our own hands. There is no credible evidence… I’m convinced that somebody is concealing something. The latest information and analysis confirms that MH370 will be found in close proximity to the arc. At the time MH370 reached this arc, the aircraft is considered to have exhausted its fuel and to have been descending. A woman who was sailing with her husband across the Indian ocean from India to Thailand claims she saw Malaysia Flight 370 approximately three months after it went missing. I was on a night watch. My husband was asleep below deck and our one other crew member was asleep on deck. I saw something that looked like a plane on fire. That’s what I thought it was. Then, I thought I must be mad… It caught my attention because I had never seen a plane with orange lights before, so I wondered what they were.I could see the outline of the plane, it looked longer than planes usually do. There was what appeared to be black smoke streaming from behind it. I looked back through our GPS logs and lo and behold, what we saw was consistent with the confirmed contact which the authorities had from MH370. Mike Dean’s comments today were speculative and premature, as we continue to work with our partners to more thoroughly understand the data acquired by the towed pinger locator. As such, we would defer to the Australians, as the lead in the search effort, to make additional information known at the appropriate time. There are probably two or three pages of important stuff, the rest is just noise. It doesn’t add any value to our understanding. The search will be a major undertaking. The complexities and challenges involved are immense, but not impossible. The best minds from around the world have been reviewing, refining and localising the most likely area where the aircraft entered the water, which is why we remain confident of finding the aircraft. After the mapping is completed, the ATSB plans to consult with authorities, including oceanographic institutions and private companies, to prepare for the next phase in the search. I am happy to be here even though I am a little jetlagged from my trip to Malaysia – the lengths we have to go to to get CNN coverage these days. I think they’re still searching for their table. The tough time I would have at CNN now, I think, would be doing this airplane story. Because I think I’d crack up laughing. I think I would have – you know, how many times can you cover a plane? Six weeks and all we know is it made a left turn. Well, what if they forced me to? I would probably not want to do it. I think it would get embarrassing after a while. After a meeting between officials of the three nations in Canberra, Australia, Malaysia and China agree to expand and intensify the search for the missing plane. The “new phase” of the search will focus on searching the ocean floor — though some areas of the ocean bottom in the search area will first need to be thoroughly mapped. The search operation will be conducted out of Perth. The company is not declaring this is MH370, however it should be investigated. The company and its directors are surprised by the lack of response from the various authorities. This may be due to a lack of understanding of the company’s technological capabilities, or the JACC is extremely busy, or the belief that the current search in the Southern Indian Ocean is the only plausible location of the wreckage. Malaysia releases its preliminary report on the flight’s disappearance. Air traffic controllers did not realize that the flight was missing for 17 minutes after it disappeared from radar, and search/rescue operations did not begin until four hours after the plane disappeared. The report also includes audio recordings of conversations between the pilots and ground controllers, a cargo manifest, the plane’s seating plan, and a map showing the route investigators believe the plane took after disappearing from radar, heading into the South Indian Ocean before presumably crashing into the sea. A parallel police report also made publicly available says the plane followed “a twisting and deliberate course” before crossing over the northern tip of Sumatra and finally flying out over the ocean. Malaysia Airlines advises family members to leave their hotels and go home. The airline has housed the relatives in hotels since the plane first disappeared, but it now says it is closing its family assistance centers around the world by May 7, and that families should receive all further updates from “the comfort of their own homes.” It promises to establish family support centers in Kuala Lumpur and Beijing, and keep families updated as news of the flight occurs. It adds that it will make compensation payments to the relatives. The Australian search vessel Ocean Shield deploys an autonomous underwater vehicle (AUV) to scan the ocean floor for signs of debris from the missing plane. The vessel previously picked up “pings” that might have come from the plane’s black boxes; experts believe that if the pings did indeed come from the plane, the black boxes have now run out of power and are no longer transmitting. Search vessels receive unusual signals consistent with the “pings” from an aircraft’s “black box” data transmission and storage systems. The Australian search vessel Ocean Shield detects one set of pings lasting for two hours and twenty minutes. Another set of pings lasts thirteen minutes. Both sets of pings comes from an area in the southern Indian Ocean, northeast of where a Chinese search vessel detected unidentified sounds the day before. The Chinese search vessel Haixun 01 detects unidentified sounds that might emanate from MH370. The vessel is in the southern Indian Ocean, well off the west coast of Australia. Malaysian investigators admit that the investigation into the plane’s disappearance “may go on and on and on” without ever finding conclusive evidence as to the plane’s fate. Moreover, the investigation may never determine why the plane was hijacked, or if indeed it was hijacked. British satellite company Inmarsat releases definitive data showing that the plane ended its flight somewhere in the middle of the southern Indian Ocean. The process uses complex mathematical analyses called the Doppler effect to infer where the flight may have ended, presumably plunging into the ocean. Based on the report, Malaysian Prime Minister Najib Razak announces that no one is believed to have survived the flight’s presumed crash. Oceanographer Erik van Sebille says that the “extremely hostile” conditions of the southern Indian Ocean would make search efforts difficult. The waves, winds and currents in that region are among the strongest on the planet. The whole ocean down there is like a pinball machine. It is difficult to track or predict where water goes, or do what is really important now, which is to backtrack where water came from. If the 154 passengers did lose their lives, Malaysia Airlines, the Malaysian government and military are the real executioners who killed them. We the families of those on board submit our strongest protest against them. We will take every possible means to pursue the unforgivable crimes and responsibility of all three. [The autopilot] doesn’t know anything except, ‘maintain this heading.’ Once the fuel was exhausted the plane would become destabilized and crash without a skilled pilot at the controls. Malaysia Airlines deeply regrets that we have to assume beyond any reasonable doubt that MH370 has been lost and that none of those on board survived. [W]e must now accept all evidence suggests the plane went down in the Southern Indian Ocean. The airline issues a subsequent statement defending its use of text messages and saying it has tremendous respect for the family members. Initially, there was a little bit of fog of war. That has cleared. They had a hard time pulling this together. Every intelligence agency in the world was beating their door down. I think they were overwhelmed, and that has settled a little bit. The government now welcomes FBI technical assistance, and is actively soliciting international help. The need for SWIFT has never been mandated and all our aircraft have what is called the Aero H SATCOM communications systems. This installation is sufficient to meet all of MAS’s operational requirements and at the same time meets all international requirements that enable us to fly international airways. The statement that this $10 per flight upgrade will provide direction, speed and altitude in the event that the communications were deliberately shutoff from the aircraft is untrue. Thailaid’s military shares radar data that shows what might be the missing flight. Air Vice Marshal Montol Suchookorn says Thailand didn’t share the information with Malaysia earlier because the Malaysians did not ask for it. The plane detected by Thai radar appeared just minutes after the flight’s communications went dark, at around 1:28 a.m. Suchookorn says the mystery radar signature was tracked over the Strait of Malacca, west of Malaysia. The plane never entered Thai airspace. Investigators are considering suicide by the pilot or co-pilot as a possible explanation for the flight’s disappearance. No details are given as to why suicide might be a possibility. Flight MH370’s disappearance is officially the longest disappearance in the history of modern commercial aviation. Previously, the longest disappearance of a commercial aircraft was when Adam Air Flight 574 disappeared off of the coast of Indonesia in January 2007. Wreckage was found ten days later. Courtney Love announces on Facebook that she thinks she may have found Malaysia Airlines Flight MH370 plane on the crowdsourcing locator website Tomnod. In view of this latest development, the Malaysian authorities have refocused their investigation into the crew and passengers on board. … Clearly the search for MH370 has entered a new phase. … The investigations team is making further calculations which will indicate how far the aircraft may have flown after this last point of contact. US investigators are considering sabotage in the disappearance. According to Malaysian investigators, two of the plane’s navigational systems were disabled. US investigators believe a third system, located on the plane’s lower deck, was also compromised. Within an hour into the flight, the plane’s transponder was disabled, almost certainly from inside the cockpit. Radar was then unable to track the plane. The ACARS navigation system was also disabled; doing so would require computer access and “expert knowledge,” though not necessarily limited to Boeing 777-trained pilots. After this point, the only indication that the plane was in the air came from satellite pings, which show that the plane remained aloft for some five hours, probably traveling westward over the southern Indian Ocean, before also losing contact. The most likely scenario after the loss of satellite signal, US investigators say, is that the plane crashed into the ocean. However, a less likely scenario has the plane again changing course and flying on for another hour (at most) to an unknown destination. If that scenario occurred, it would have taken two people and access to the restricted lower deck’s electronics bay to disable satellite communication. Always when you fly, you are in contact with air traffic control in some country. Instead of contacting the Vietnam air traffic control, the transponder signal was turned off, so I think the timing of turning off the signal just after you have left Malaysian air traffic control indicates someone did this on purpose, and he found the perfect moment when he wasn’t in control by Malaysia or Vietnam. He was like in no-man’s country. The timing of turning off the transponder suggests that this involved someone with knowledge of how to avoid air traffic control without attracting attention. You needed to know this plane, and you also needed to know this route. … [T]he likelihood that a pilot was involved appears very likely. The Boeing 777 is a relatively new and big plane, so it wouldn’t be anyone who could do this, not even someone who has flown smaller passenger planes, even smaller Boeings. 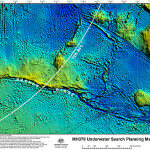 Search efforts refocus on the Indian Ocean near the Australian coast. An unnamed source says that the last satellite transmission from the plane has been traced to that area, about 1,000 miles west of Perth. For the plane to end up in that area of the ocean would have cost it nearly all of its fuel. However, the source says, the plane could have flown beyond that last location, and that location may not indicate the final destination of the plane. Malaysian authorities say the search for the plane is now focused on two “flight corridors,” a northern corridor stretching from Kazakhstan to northern Thailand, and a southern corridor from Indonesia into the southern Indian Ocean. The search parameters are based on recently released satellite data. The searches require cooperation from several countries, including Afghanistan, Bangladesh, China, India, Kyrgyzstan, Myanmar, Pakistan, Nepal and Tajikistan. These movements are consistent with deliberate action by someone on the plane. It’s not an accident [for it to have been shut off]. It doesn’t mean anything; all it is is a theory. Find the plane, find the black boxes and then we can figure out what happened. It has to be based on something, and until they have something more to go on it’s all just theories. Who are the missing Flight 370 pilots?